If you’re someone who has run paid search engines in different countries, you would require a good way of tracking the rates of currency exchange. It’s a big issue with international PPC as most of them fail to keep track of their expenses and ROI abroad as compared to the home currency. 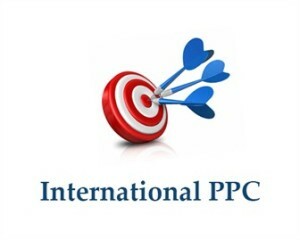 As with everything else, there are pros and cons of both but if you’re eager to invest your dollars in international PPC, you have to know how to deal with currency exchange fluctuations and adjust your trade thereby. Here are some ways you can do so. Improve your compare performance and analysis ability: When you’re analyzing your business through different markets, it is tough to compare metrics related to costs unless and until everything is in the same currency. Before moving into a new market, you may even wish to check the volatility of the currency. Especially if you have to convert your money in order to make payments, you need to be aware of the exchange rates so that you don’t end up paying more. Use for billing and reporting: You might be operating the majority part of your business in a nation where you’re based but you have some branches of some international businesses too. Irrespective of whether your operations are digital, you should let the international ventures use the local currency. You need to set up a different account in another currency and then get a bill for it at the end of the month. You got to manually look for the exchange rate of US, Canada, Bahamas, Mexico and Bermuda if you wish to advertise there. Paid for software for converting currency can be expensive: The software for converting currencies can cost you somewhere around $5 to $1000 in a month depending on the way you use it and how frequently you want the exchange rates to update itself. In general, the more accurate and recent you want your information to be, the more money you have to pay. In the year 2011, Google had its own finance service which retrieved the exchange rates free of cost. That was then easy to perform. Therefore, if you wish to deal with international PPC, you have to have a clear idea of the fluctuation of the currency exchange rates. Being aware will help you save your dollars in the long run.